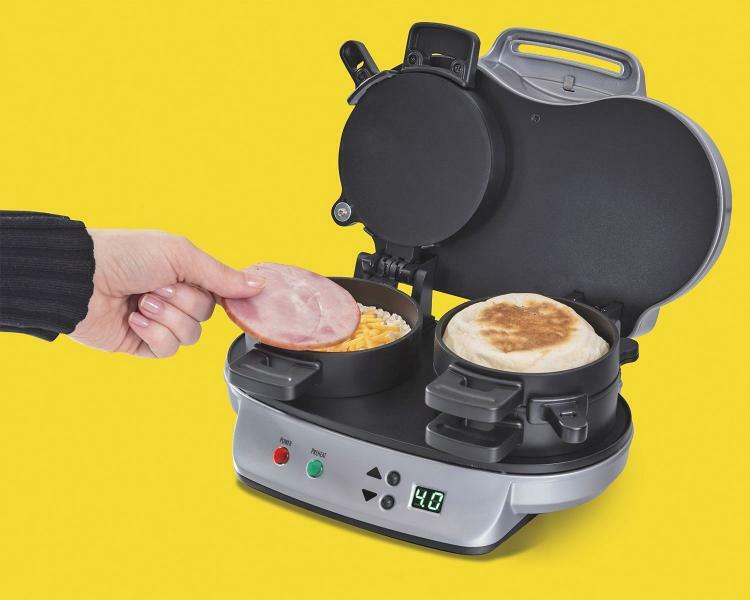 You've seen the single breakfast sandwich maker, but what kind of girly-man would only want to make one breakfast sandwich at a time? 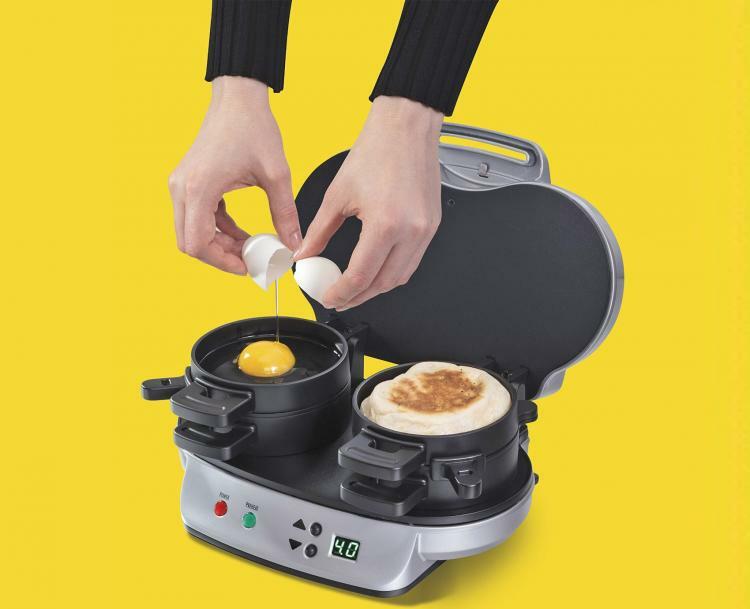 Your stomach has grown beyond one breakfast sandwich in the morning, you've stretched your stomach out so much with each meal it's now requiring more breakfast sandwiches to curb your appetite. 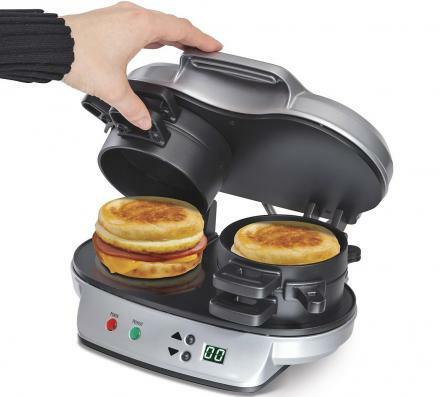 It's time to throw your single breakfast sandwich maker in the garbage to make way for the double! 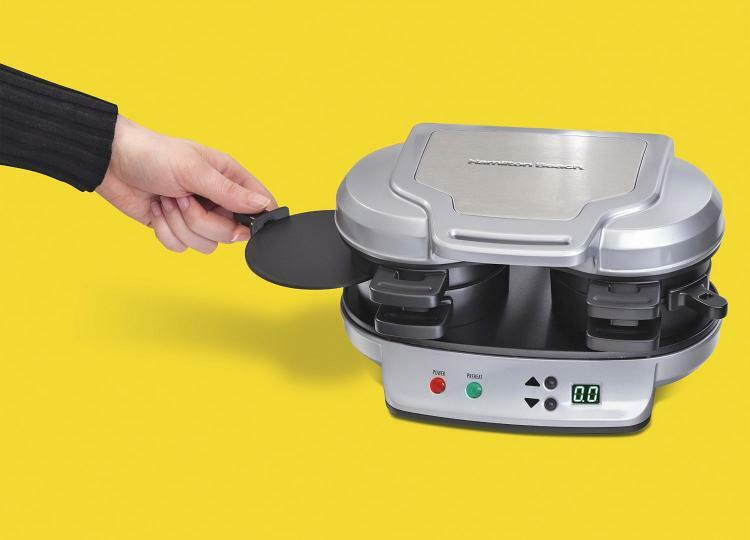 The double sandwich maker makes sandwiches in 5 minutes, all you have to do is load in your ingredients into the designated trays, turn it on, and you will have two home-made fresh breakfast sandwiches ready for consumption after you hear it beep. 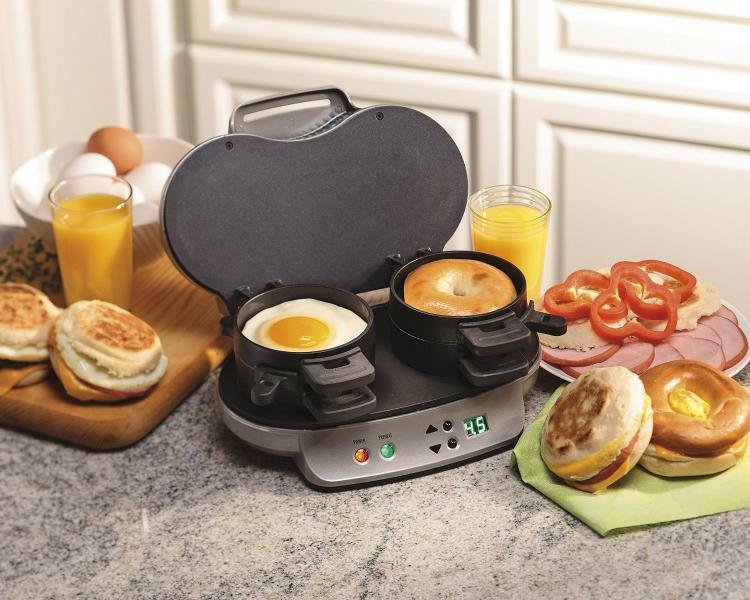 You will be trained to salivate at the sound of the breakfast sandwich maker beep just as the Pavlov Theory suggests. 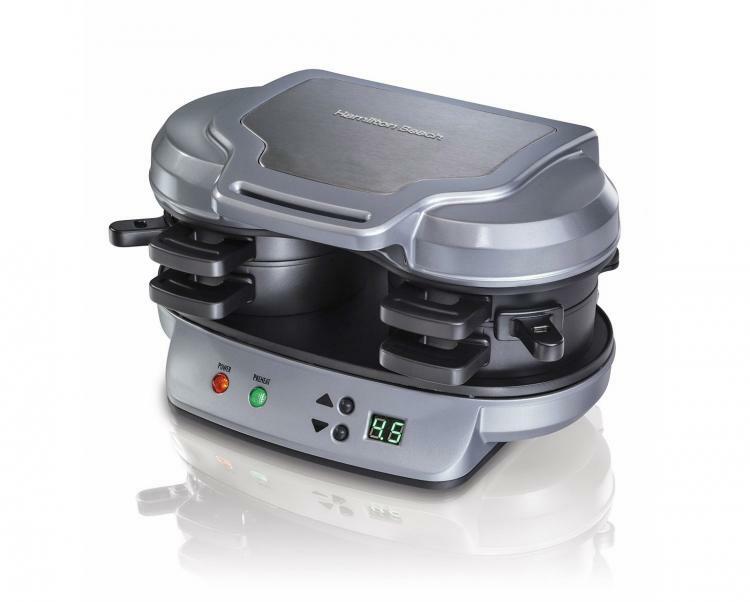 Made by Hamilton Beach, the dual breakfast sandwich maker comes with an audible timer to let you know when they're done, comes with a few recipes to try out some different sandwiches, has many removable parts that are dishwasher safe which makes it a breeze to clean up, and the device measures 10.4 inches long x 7.8 inches tall x 5.9 inches wide. Plus the sandwich maker can be used with any breading of your liking, including English muffins, bagels, or even regular slices of bread cut to be a circle. 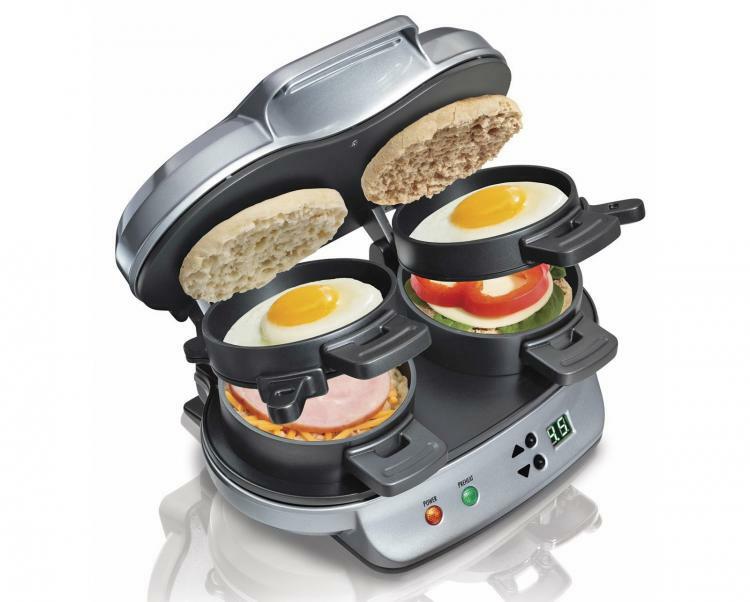 Check out the double breakfast sandwich maker in action via the video below.